A major milestone in our lives is the career we choose. Engineering can be termed as one of the most challenging professions with an excellent appeal. Highly skilled engineers are innovators who make the world a sustainable place to live in. In this age of cut-throat competition, a subject like engineering offers vast job opportunities along with unravelling the mysteries of science. An engineer is consistently involved in complex and exciting projects where state of the art technologies are utilized. Myriad possibilities are opened once you complete your engineering training and enter the professional domain. The fascinating structures, vehicles, computer programmes and other services utilized by us are creations of engineers. Trailblazing inventions such as aeroplanes, computers or giant civil structures like the Sydney Harbour Bridge or the Eiffel Tower demonstrate the sweat and toil of engineers. All these achievements come only after the great toil of becoming an engineer. To be called an engineer in India or perhaps most places in the world, one first needs to complete a four-year bachelor’s programme in engineering or technology. This is where we engineering entrance exams show the steps to become an engineer. With nearly every science student scrambling for a place in the top engineering colleges of India such as IITs, NITs etc, the entrance exams are set at a very high level to allow only the best students amongst the crowd to emerge. In such a situation, engineering preparation is essential for success. The question which now arises is what sort of engineering preparation is required to ace the entrance examinations? Candidates should consider aspects such as proper strategy, the importance of time management and conceptual knowledge amongst others while studying a tumultuous array of topics throughout engineering preparation. Let us ponder over some important tips along with maintaining a positive outlook for attaining the perfect blueprint for engineering preparation. The decision to pursue engineering preparation is a momentous one. Before you make it, understand, there are no half measures in the real world. Many people will tell you, ‘Hard work is everything’. They are right. But acing engineering entrance exams requires something else. It calls for intrepidness. To put everything on the line believing you will make it after two years of engineering preparation requires fearlessness. Your engineering preparation might be going astray at times. Problems might seem improbable. At times like those, you will have to be brave. Brave enough to accept your shortcomings and bold enough to remove those weaknesses to bolster your engineering preparation. Every great achievement has a structured plan behind it. Though engineering preparation may seem a straightforward task of incessant studying, the reality lies somewhere in between. In the chaos of completing your engineering preparation, it is often possible that you will run out-out of steam. Engineering preparation comprises of not one, but three different subjects. To begin with, you need to pause from your hectic studies for a few hours and take a practical stock of where your engineering preparation stands. Many students make the mistake of considering engineering preparation as a marathon. A more appropriate example is a boxing match. In a typical showdown in a boxing match, the winner is often the boxer who preserves his energy until the last three rounds. The boxer without a plan huffs and puffs in the first few rounds and loses all steam towards the end. However, the one with the plan saves his energy and knocks his opponent out using nuance and patience. Engineering preparation is similar. Wasting your energy on strenuous topics leads to early exhaustion at very start of your engineering preparation. Overcompensating sometimes during engineering preparation can also lead to few days with little or no studies. A successful engineering preparation hinges on meticulous planning and forecasting your burn rate. Clearly delineate the topics that you have mastered from those in which you need more conceptual hard work and give yourself enough time to master them throughout engineering preparation. Once this is done, you should plan a clear revision strategy for the remaining period, giving importance to all three subjects for engineering preparation: Physics, Mathematics and Chemistry. Though many claim giving equal importance is necessary, each student has his/her strengths and weaknesses. If you’re strong in organic chemistry, make sure you’re completely proficient with each of its aspects and nuances. 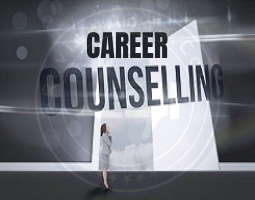 Take the help of a professional mentor who has substantial experience of dealing with engineering preparation. Take stock of your board exams as well during engineering preparation; do not consider them as a hindrance to your engineering preparation, but rather treat them as a much-required boost. Students often make the mistake of underestimating board exams during engineering preparation. While the board exams may be down a level or two, knowing the process of solving a question and illustrating the process on an answer sheet are two different things entirely. Coaching for engineering preparation -A question of difficulty or approach? Of the 10-12 thousand students entering the IITs every year, 95% attend coaching classes for engineering preparation. So asking a question saying coaching is necessary or not is redundant. Nearly all engineering entrance exams are highly technical and require a specific engineering preparation approach. So if money and time aren't a problem, attending coaching classes is a good idea for engineering preparation. The key here is the manner in which a candidate approaches his/her time during a coaching class. 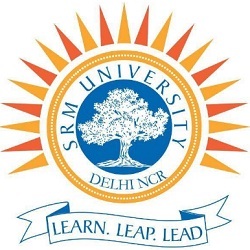 Faculties in coaching centres have a reputation of being demanding from students. If you are ready to dive head down into the malaise of engineering preparation and competing ruthlessly with friends and peers alike, coaching centres are perfect for you. Some students tend to thrive in a competitive environment, something which coaching centres try to imbibe amongst students in the course of engineering preparation. The advent of coaching classes isn’t an ideal scenario though. Many students these days are focussing completely on coaching classes while letting school education take a back seat. This gap illustrates the true fallacies of our education system. Many schools in India have simply failed to evolve and understand the importance of entrance exams. There are many students though; who get crushed in the humdrum environment of entrance exams focussed IIT coaching centres. This effectively sabotages their engineering preparation. Thus, think long and hard before making a decision about coaching centres for entrance exams. Sometimes it is better to join a smaller institute with fewer students to enjoy greater access to faculties and feel less burdened in the tense environment of engineering preparation. Leaders are limited by their vision, not their abilities. Vision is not generally associated with engineering preparation or entrance exams. However, considering the long length and effort required to ace engineering entrance exams, vision plays a crucial part in building a strong engineering preparation platform. Where do you see yourself in five years? Is it being an engineer? Are you really willing to devote four years of your life to something you might not have a clear idea about? If these questions yield a resounding mandate for engineering, your engineering preparation will automatically elevate to a different level. Since it will be your heart’s true desire, there won’t be any need for extra motivation to clear entrance exams. If the answer doesn’t say engineering preparation and reveals something else entirely, abandon your engineering preparation. There is no shortage of engineers in India who hate their professions and lives. Becoming a member of such a community will bring nothing but disillusionment and despair. It is essential for students to know that all topics in engineering preparation syllabus do not carry equal weightage. This is a very important distinction that students should be able to make in the course of engineering preparation. Meet subject experts to have further clarity on this issue. Devoting more time to topics that form a greater part of the typical examination papers like JEE Mainsis obviously the logical thing to do. 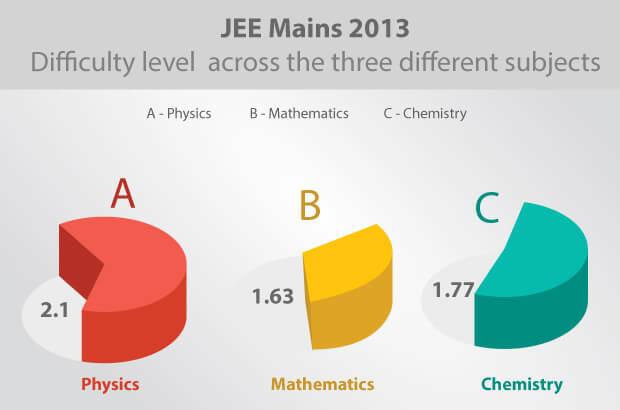 For example, maths is considered amongst the toughest subjects during engineering preparation. However, some topics like Coordinate Geometry and Vectors planes are relatively easier and carry heavy weightage in nearly all engineering entrance exams. Similarly, inorganic chemistry is purely factual and only seldom do examiners set difficult questions from this topic. It is thus advisable to sharpen these specific topics. The syllabus below is a summary of all topics covered in practically all engineering entrance exams. Mathematics: Quadratic Equations & Expressions, Complex Numbers, Probability, Vectors, Matrices in Algebra; Circle, Parabola, Hyperbola in Coordinate Geometry; Functions, Limits, Continuity and Differentiability, Application of Derivatives, Definite and Indefinite Integrals in Calculus, Differential equations. Physics: Kinematics, Gravitation, Fluids, Heat & Thermodynamics, Simple Harmonic Motion, Waves & Sound, Capacitors & Electrostatics, Magnetics, Electromagnetic Induction, Optics & Modern Physics. Chemistry: Coordination Chemistry & Chemical Bonding in Inorganic Chemistry, Electrochemistry, Chemical & Ionic Equilibrium, Mole Concept in Physical Chemistry and Organic Chemistry. Physics: Concepts of Physics by H.C Verma and Objective Physics for Engineering Entrances by DC Pandey. Chemistry: NCERT for Inorganic Chemistry, Physical Chemistry by P.K Bahadur and Organic Chemistry by O.P Tandon. Maths: Arihant Algebra, Coordinate Geometry by S.L Loney, Differential and Integral Calculus by Amit M. Agarwal and Objective Mathematics by RD Sharma for Vectors and 3D. Besides these books, practising mock tests and previous year question papers is also crucial to get a feel for the entrance exams. 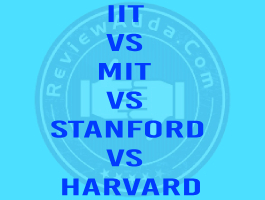 It is an age-old principle, used commonly is sports and battle, but highly appropriate for engineering preparation. In football, the teams generally capable of playing in different styles defeat teams too stubborn and stuck in their ways. Likewise, engineering preparation involves knowing different ways of facing different problems. The expansive nature of engineering entrance exams is predicated on developing cross subject methods and shortcuts for solving problems. Sometimes one method might be too complicated to solve a question. In such a case, it is always beneficial to have another way of solving a problem. Engineering preparation is all about understanding different perspectives. This one is crucial for serious candidates. You should solve mock tests and question papers of the previous years’ religiously. Students who do not give due importance to this aspect lack familiarity of the entrance exams pattern and this affects their results adversely due to this blunder during engineering preparation. 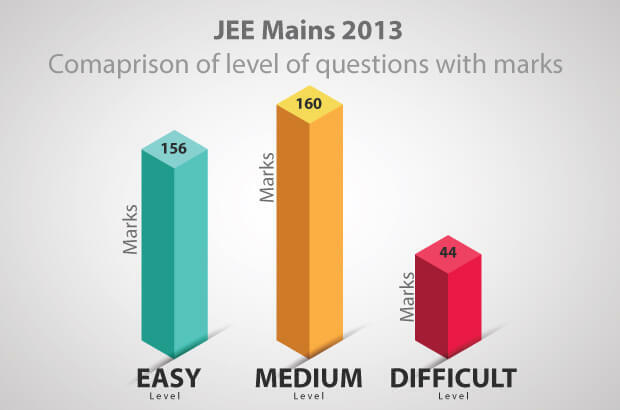 On the contrary, students who have spent enough time solving JEE mock tests which simulate the entrance exams pattern and environment are the ones who hit the ground running on the day of the exam. Talk to previous year engineering pass outs and alumni of top-notch engineering colleges in order to gain some tips and advice on the examinations and how to ace the papers. Adopt all these tips while you appear for mock tests. Imagine you’re in the exam hall, ready and set to go. You open the question booklet and the first question stumps you. Your confidence is instantly blown out of the water. Despite knowing otherwise, you keep gnawing at the question you can’t solve and half an hour is already up. How will you manage to solve the next 89 questions in two and a half hours? Unfortunately, this phenomenon is very common even amongst bright students. The lack of practice in a simulated entrance exams environment can burn down your engineering preparation within minutes. The key is to always test yourself against a ticking clock. Getting used to being stuck at times and dealing with tough situations can be learned only be experiencing the being thrust into such a position. Time flies over us but leaves a shadow behind. The shadow time leaves behind is reciprocated in regret. Studying is necessary, but studying without a target is useless. 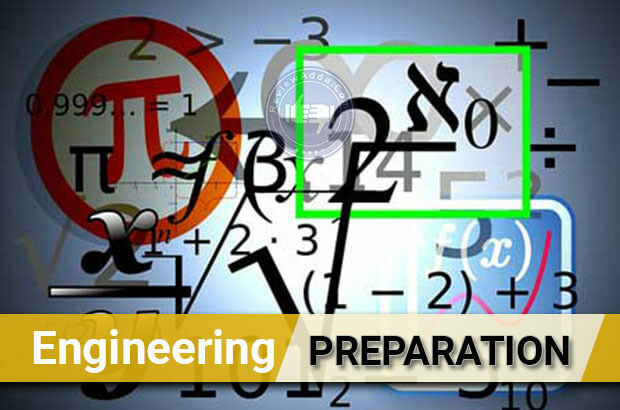 Each topic you study during engineering preparation holds an entirely different scope. While examiners during entrance exams sometimes skirt with the syllabus boundaries, it is essential for your engineering preparation to reflect a clear agenda of achieving targets over a period of time. Two years is a mountain of time for engineering preparation. Some candidates take two hours to understand a problem, some take four and some need only ten minutes. Understanding which type of student you are and the exact amount of time you need to establish a functioning plan of engineering preparation will bolster your chances of ending up somewhere you want to be. Unlike what many might think, this doesn’t ask you to stop living your life. It suggests the exact opposite. Many students associate engineering preparation with burning all bridges with social life. This is a very dangerous habit and plays a big part in altering the core of your personality. Always remember that there is a life after engineering preparation. Although entrance exams may have a certain finality to them, that is not the case. A trend of saturation is often seen amongst students who do brilliantly in entrance exams but fail to incite the same intensity in college. This is purely down to exhaustion and a lack of motivation after clearing entrance exams. In their minds, they peaked during their engineering preparation. Recreating that kind of magic sometimes becomes impossible and they underachieve in college and in professional life. Make sure you don’t fall into such a trap. Dealing with equations, diagrams and reactions all day can gazump your thinking power. Listen to some music, visit a friend, read a book or even watch a movie, but always remember to take a breather. Keep the blood flowing and maintain a rhythm. Engineering preparation is all about semantics. This is particularly important for students who are in their class XII and are appearing for engineering entrance exams for the first time. With standard XIIth studies in full swing due to the board exams on the horizon, it is difficult for students to keep working simultaneously on class XI topics. 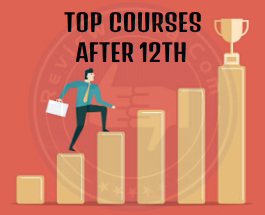 But since there is not much time for revisiting class XI after board examinations, it is imperative that you continue to devote time to the same here and there. The best way to do this is to pledge on an average two hours every day at least 5 days a week to class XI topics. Another way is to devote weekdays to class XII completely while dedicating Saturday & Sundays to revisiting class XI topics. Hard work is the fuel behind every great achievement. Securing a seat in top engineering colleges is nothing short of an achievement considering the current climate of intense competition. Nothing but pure dedication and hard work can secure a ticket to the college of your dreams. Engineering preparation might make you feel detached and aimless at times. In the whirlwind of mock exams and piling targets, you might feel the urge to simply quit. That would be the most testing time of your engineering preparation. Seek guidance when you feel lost, take a break when you feel like tearing up the pages but never, ever give up. If engineering is truly your heart’s desire, quitting is simply out of the question. Like a boxing match, until you hit the mat, you’re in the game. But if you quit, it's all over. Exercises are necessary to keep your physical and mental fitness intact. A healthy diet is also of great prominence. Rejuvenate your senses by listening to good music, going out with friends and mingling in society. All these factors improve your capability and are important for efficient functioning of the brain. 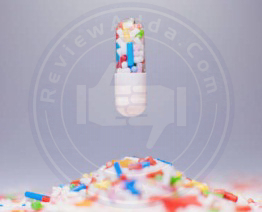 They also help in improving confidence which leads to great results. It can be a half an hour walk in the morning or a one-hour yoga session, but keeping your body fit becomes a catalyst for engineering preparation. The feeling of bliss after a morning walk or a healthy breakfast relaxes the mind and takes the edge off the usual engineering preparation. Time management is also a crucial factor as students need to be capable of utilizing the 3 hours available on the judgment day in a proper manner. Short notes, formulae and important points need to be prepared as they are helpful for revisions before entrance exams. At the end of the day, the only thing a student can do is prepare. With changing entrance exams patterns and rising difficulty level every year, the key is sticking to core ideas. No one walks into the pit of entrance exams believing they will ace the exam. Confidence is built by constant preparation and focus, a sword tempered in the fire of hard work. Students are advised to attempt questions with a calm mind on the judgment day itself. Start the paper with the theoretical questions and later on shift to the numerical ones as they require calculations. Keep your priorities intact and analyze the question paper properly before solving it during the entrance exams. Hard work, wits and dedication will take you ahead and help you fulfil your dreams.